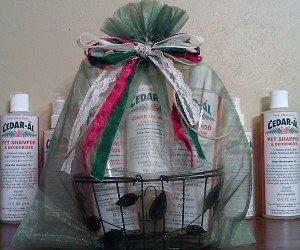 With a fluff of the “pouf” on the top of the basket and you have CEDAR-AL for your special holiday! The Gift Basket ships FREE in a Priority Mail Flat Rate Box for US orders only. 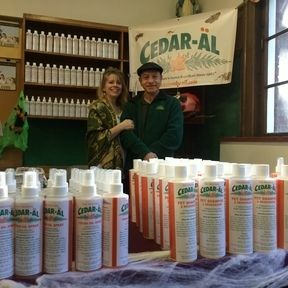 Free Shipping Offer Not Valid For International Shipping Please contact us at sales@cedaroil.com to make arrangements for an international order. Additional shipping charges may apply if your order is larger than 1 gift basket.